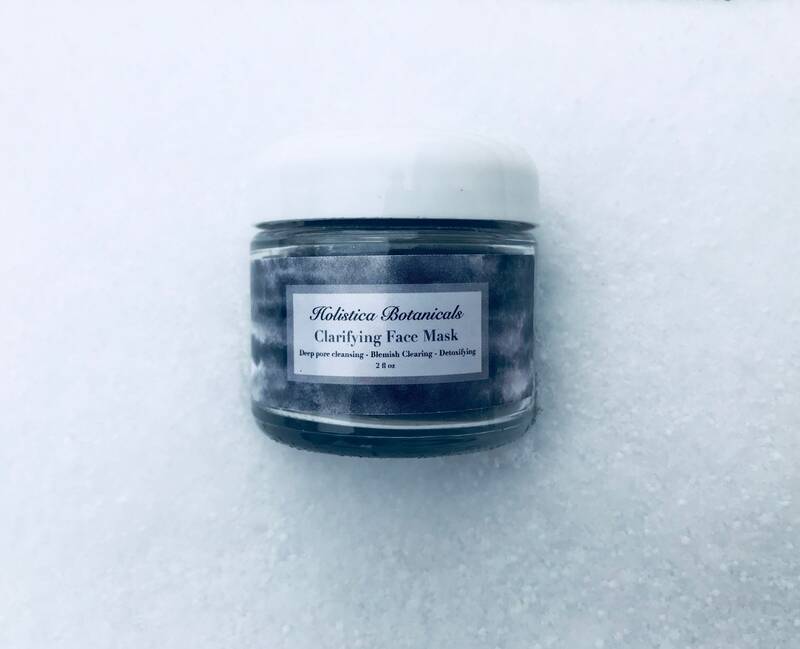 Clarifying Face Mask is a blend of natural clay, charcoal, matcha tea and essential oils blended to detoxify and purify your skin. This clay mask leaves your face fresh, clean and soft as can be. 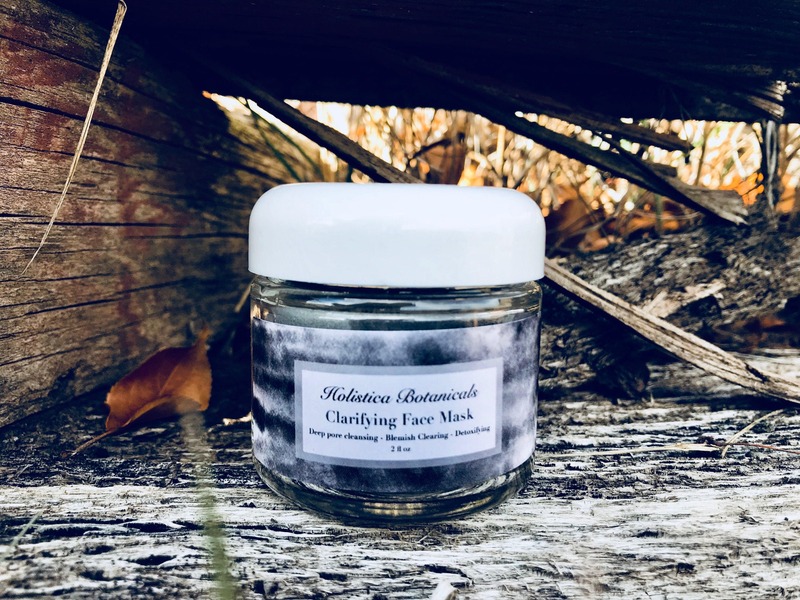 Bentonite clay unclogs skin pores and shrinks them. It also helps control the overproduction of sebum which can lead to acne. 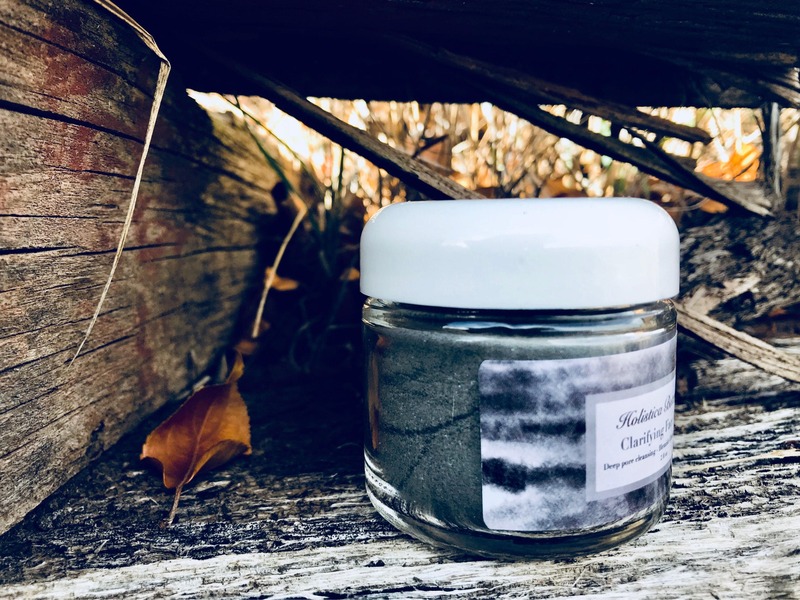 Bentonite clay has a strong negative electric charge which allows it to bond to toxins and pull them out from your skin thus detoxifying, improving circulation and overall tone. 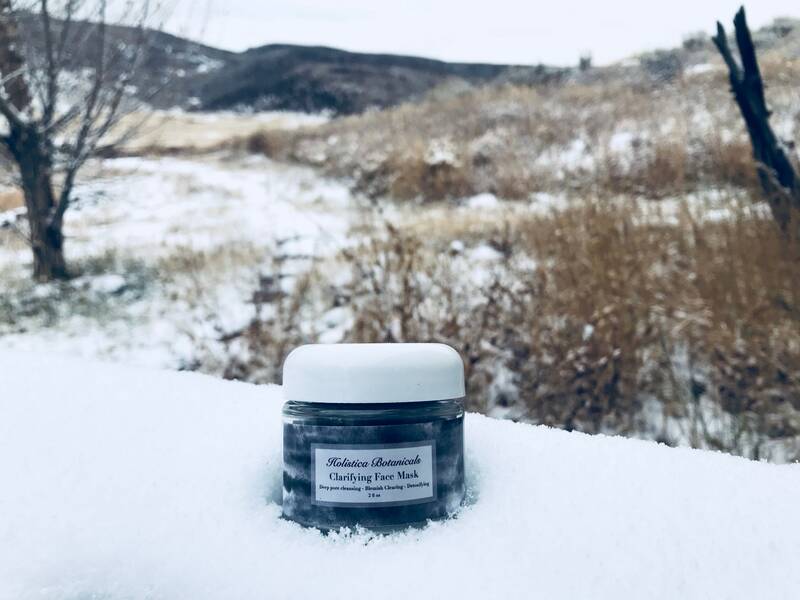 Activated charcoal draws bacteria, toxins, chemicals, dirt and other micro-particles to the surface of skin, which helps you to achieve improved complexion and fights acne. Matcha is potent in antioxidants which help fight damage caused by free radicals. 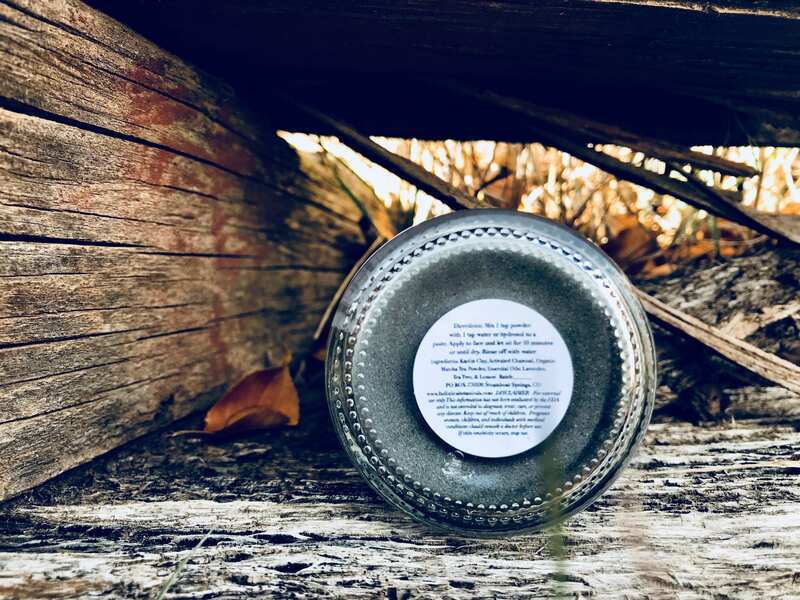 It helps to neutralize damage from UV exposure as well as providing an anti-inflammatory effect, anti-bacterial action and decreases hormone activity in the skin. 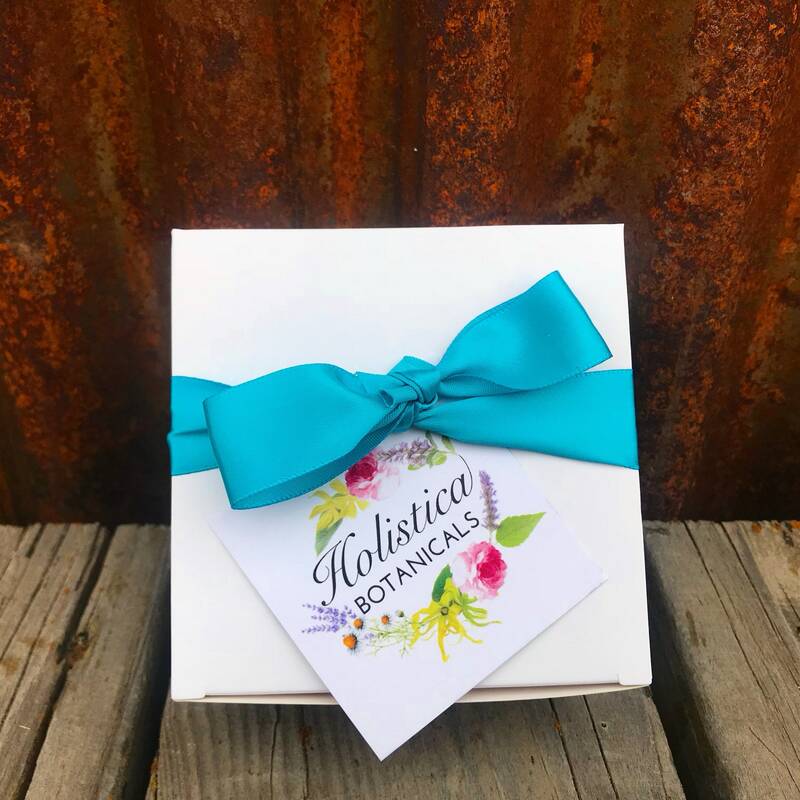 Lavender, Tea Tree and Lemon essential oils are a potent blend that provide detoxification of the skin, calming properties as well as anti-bacterial action to alleviate acne and imperfections. Directions: Mix 1 tsp powder with 1 tsp water or hydrosol to a paste. Apply to face and let sit for 10 minutes or until dry. Rinse off with water. 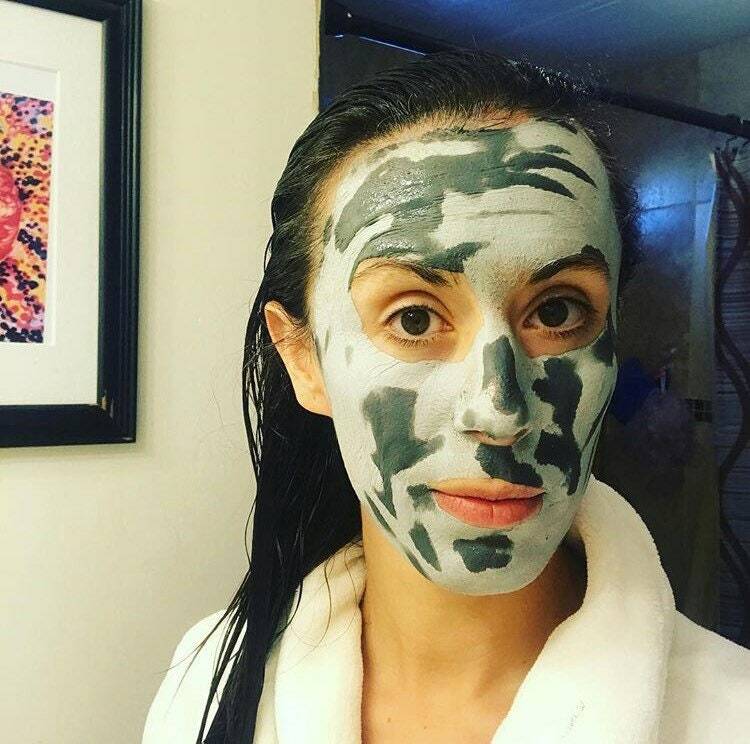 This mask may also be spot applied and left overnight for stubborn spots. A vegan friendly application brush can be added as well.